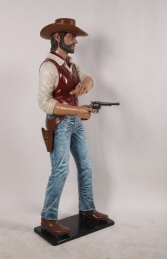 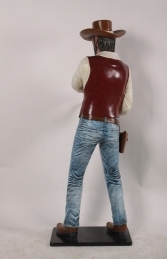 This fantastic figure of a cowboy is a typical cowboy. Great for Wild West scenes with our many cowboy models and props. 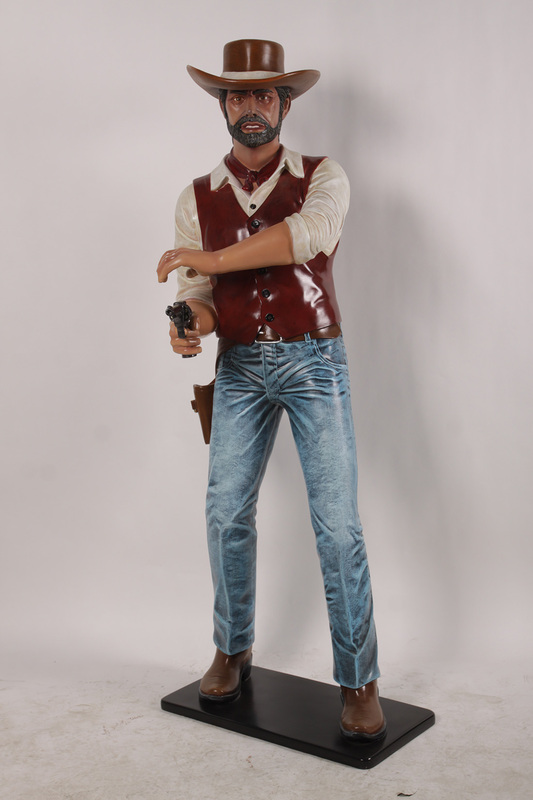 Our life-size gunslinger cowboy model is ready for a fast draw! He comes dressed in a leather replica hat with a swanky wasitcoat! Our wild west models can be used to huge effect in any Wild-West area from themed pubs and restaurants to crazy-golf and theme park rides. They are a fantastic way to draw attention to a business or add atmosphere to a party!